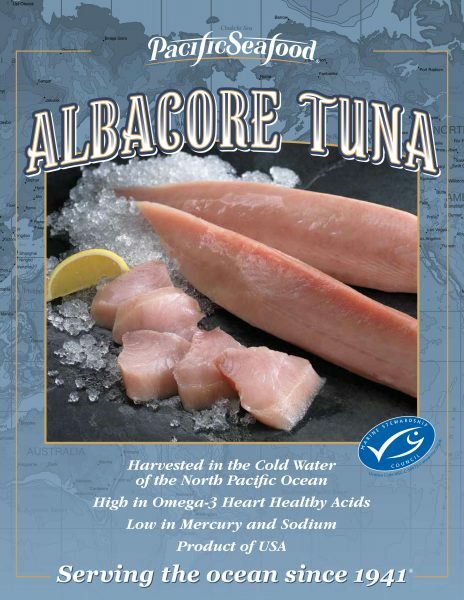 Pacific Seafood’s fresh Albacore tuna is sustainably harvested from waters off the coasts of Oregon and Washington, and rushed to market so you have the best seafood available. It is high in omega-3 heart-healthy acids and protein, and low in mercury and sodium. It is best when cooked quickly, preserving the moist texture and delicate flavor. Steaks and loins are excellent for grilling or searing, or marinate smaller cubes and skewer for kabobs. 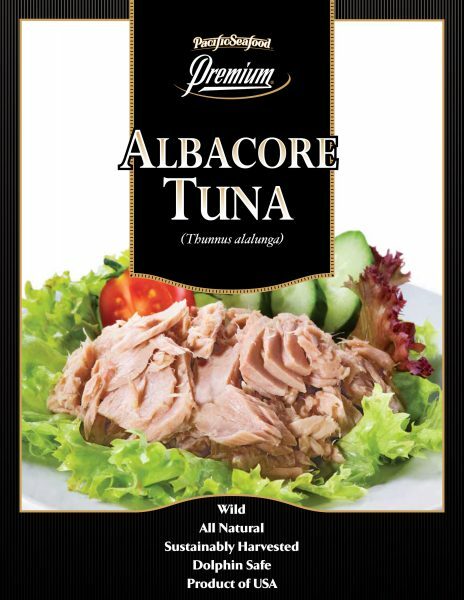 Enjoy Pacific Seafood’s fresh Albacore tuna and make it the centerpiece of your next meal.